عندما تزور هذه المدينة رائعة الجمال، ستشعر أنك في بيتك في شقق فندقية ديستينكشن واناكا الذي يقدم لك إقامة متميزة و خدمات عظيمة. يمكن من هنا للضيوف الاستمتاع بسهولة الوصول إلى كل ما تقدمه هذه المدينة النابضة بالحياة. يوفر الفندق بفضل موقعة الجيد وصولاً سهلاً إلى أهم معالم المدينة.
. استمتع بالخدمات الراقية والضيافة التي لا مثيل لها بهذا الفندق في هذه المدينة رائعة الجمال. يقدم الفندق فرصة للاستمتاع بشريحة واسعة من الخدمات بما فيها: واي فاي مجاني في جميع الغرف, خدمة التنظيف يوميًا, خدمات بريدية, مطبخ, تخزين الأمتعة . استمتع بوسائل الراحة الراقية في الغرف أثناء إقامتك هنا. بعض الغرف تتضمن تلفزيون بشاشة مسطحة, اتصال لاسلكي بالإنترنت, مروحة, سياسة التدخين - غرف لغير المدخنين متاحة, تدفئة لمساعدتك على استعادة طاقتك بعد يوم طويل. إن تأجير معدات التزلج, جاكوزي, مركز للياقة البدنية, ساونا, مسار جولف - ضمن 3 كم هو المكان الأمثل في الفندق للاسترخاء وتفريغ طاقتك بعد نهار طويل. إن شقق فندقية ديستينكشن واناكا هو خيار ذكي بالنسبة للمسافرين، فهو يوفر إقامة هادئة ومناسبة للاسترخاء. The hotel is located in front of the lake which is great. I booked the 2 bedroom (3 beds set up) type, unfortunately, at night, it was raining and there was water leaking down the ceiling (dropping not so heavy) in the living room.. the staff came and offering us to move to main building but the room offered was 1 bedroom with 2 double bed which probably too small for 3 persons as the 2 bedroom type was fully booked. Therefore, I told the staff to bring the bucket and some towels just to put on the water dropping spot so that should be enough. The staff was so attentive and offered us complementary breakfast. If you happen to drive, see no other place, this place comes with their own in-built car Garage that link to your own apartment. 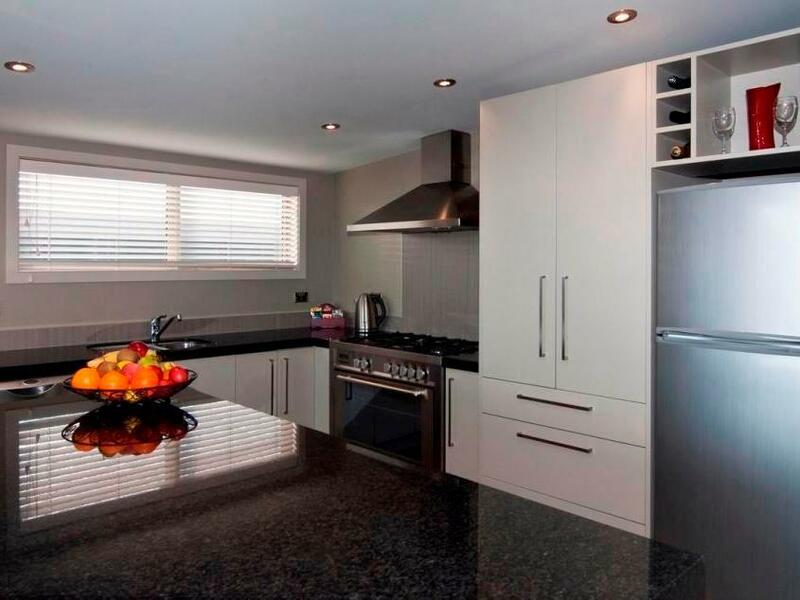 The place looks very standard with all the needed facility to cook with a standard kitchen ovens and such. The place is relatively big enough for us a family of 2 parents and also 2 siblings. Many Many ready available facility around like court and swimming pool. with washing facility in the garage itself, it was awesome! Ok granted, we probably got lucky with the views but when i last checked my neighbour's balcony to the right and left, we all had pretty good views! :) From the check-in right to the time we checked out, the stay was 5-stars. The apartment opened up to snow-capped mountains up ahead, the kitchen was roomy for those cooking (there were 2 cooks! and 2 other nosy bystanders at the same time! ), the dining area and the TV area was comfortable. What we love most? 3 rooms for privacy and 2 large bathrooms. The two bathrooms was really really thoughtful for those with more than 3 persons travelling in a group. We got the upper floor so there was a bit of climbing with the luggage on our backs but we didn't mind it. Once we got up there, we stayed put. A bit of a drive to the property but amenities were no more than 2 mins away. We couldn't get enough of the stay. Kudos! one of our best stay throughout south island trip (16 days!) ! the resort was very well maintained. our apartment was overlooking the mountains and the swimming pool and Jacuzzi. 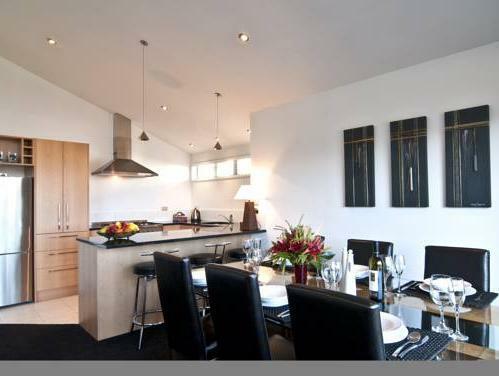 extremely spacious living room and well equipped kitchen! superb stay with great quality furnishing. Overall everything here is good. The kitchen has everything we needed. There is also a washing machine. Good location and easy to find. I stayed in a two bedroom apartment and couldn’t ask for more. Staffs are all friendly too. 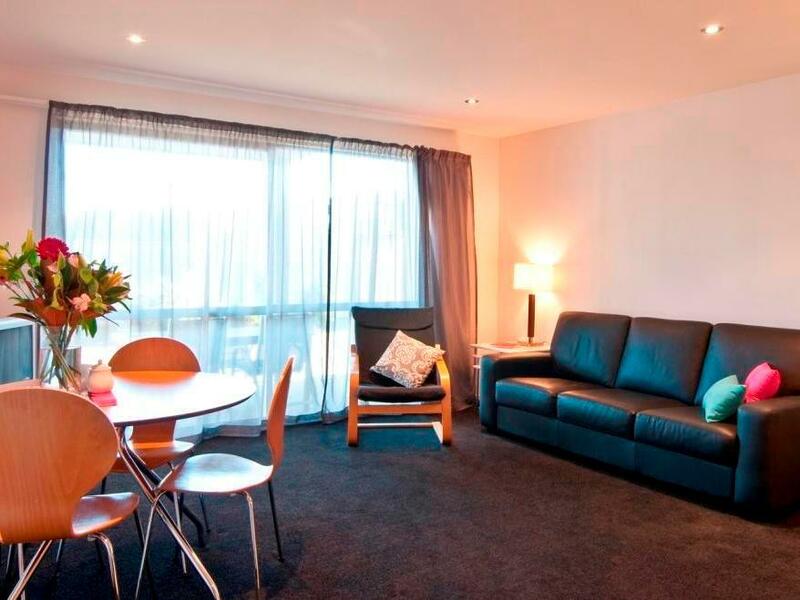 The serviced apartment allocated to us was excellent with superb facilities and amenities, with washing machine, dryer and a fully equipped kitchen. 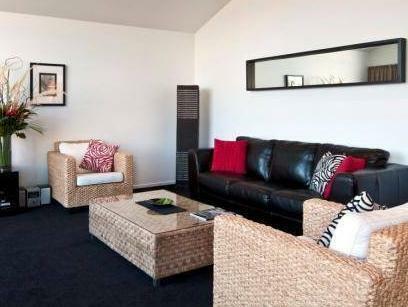 Good for couples, family or group of friends travelling to Wanaka. 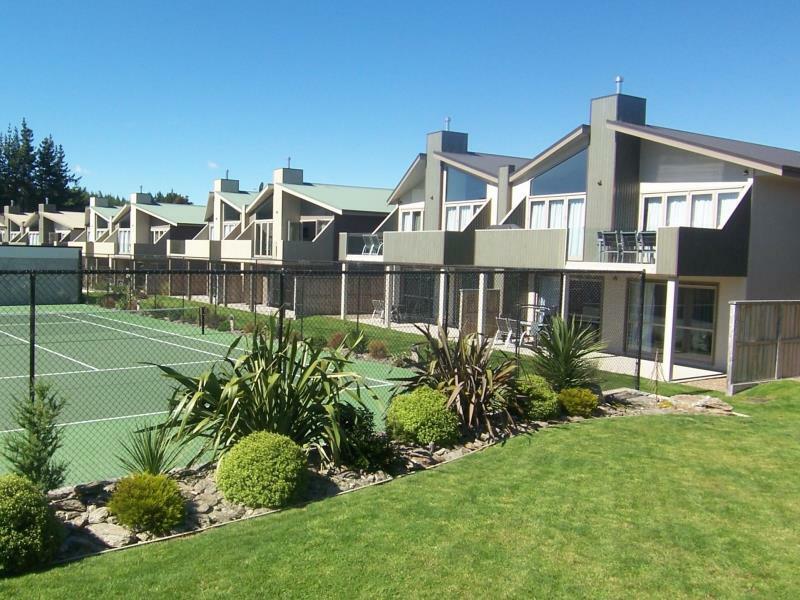 Location was just 3minutes drive away from the main town centre of Wanaka. Easily accessible. Each unit has its own garage for car. There were even tennis courts and spa available for use. Staff were very welcoming during check-in, check-out and any queries asked were answered informatively. Would highly recommend this place to my friends travelling to Wanaka. The apartment is really big and comfy. Beds were nice with heated blankets. Full kitchen to cook. Comes with washer and dryer. Short drive to town. Nice and quiet area. Wifi was pretty bad as we got a unit right at the end. We had amazing views of the mountains though. There is a car garage for you to park. Very homely feeling. Will definitely return! Overall, Wanaka is a beautiful town. I booked 2 nights under different booking. However the staff notice it before I inform them and allow us not to check out and check in again. Its really a great experience. The staff was helpful and awesome. Very clean and cosy. Spacious for 7 of us. A bit disappointed with the add on bed which not so comfortable to sleep. Nice environment, a lot of facilities customer can use. Check in quite late, but staff very thoughtful to leave a message in envelope for all direction & instruction. Only allow 2 devices to access wifi. (too limitied). 2nd day housekeeping did not clean the house and did not refill detergent for washing machine and dishwasher as well as tissue and toilet paper. We had a great experience here. The 3 bedroom apartments were very spacious and clean. The pool and spa facilities on the property were magic after a long day's driving. Everything was very clean and comfortable. This is the best motel we stayed during our whole 2 weeks' visit in south island, NZ. The living room, kitchen, and dining room is very spacious, which is very good for family time during the nights. Also, the rooms are clean and spacious, there is swimming pools, tennis courts, and gyms available in the motel! The motel is about 5 minutes' drive to town centre, which is not bad considering most people will rent a car for travelling in NZ. Wanaka itself is also a very nice town, will definitely recommend this place to all and stay here again if visit Wanaka next time. it is more of a 2 serviced apt in one building combined into 5 rooms tho. we get to be seperated. 2 rooms downstairs with whole complete kitchen and bathroom and another 3 rooms, kitchen and bathroom (have to go through different front door) upstairs. the apt upstair was nicer tho! however the apt downstairs come with an inside garage. i didnt meet the staff at all, we came late and reception was closed, so they stick our key in front of their reception door with our name on it. It's a 5 minute ride from town center, so it might not be ideal for travelers without a car. Good value for such a big studio apartment. We were upgraded to a two besrooms apartment. The only drawback is limited and unstable wifi. Other than that, the apartment is generally quite good and we enjoyed our stay. Nice accommodation with great view. Been staying here twice as I came with group. Can gather 10 people in a unit, that's great! The room was perfect for two couples. The heater worked very well. The kitchen we great. The view was amazing. Comfy and spacious, highly recommend! Spacious and modern apartment. 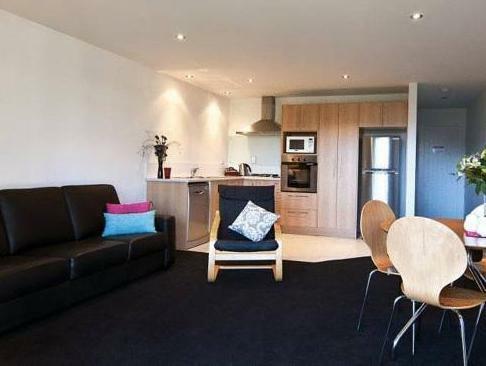 Not central to Wanaka Town Centre so you will need a car as it's not within walking distance. When we arrived, carpets had not been vacuumed properly but this was corrected quickly when we mentioned it to reception. The daily cleaning was a bit of a hit and miss. Some days they replenished the tea, cofee, shampoos and some days they forgot. Everything was ok when we check in but until the sunset the air con started to leak till it collected a big pail of water. Tons of insect n mosquito infested once we open the window. Would like to suggest that should have a netted all window.